We had a bit of left over squid from the previous week that we decided to use this time around. There were not many bait fish around and after we caught a few and put them down as live bait, there were no takers. The squid we stripped and cast out on a few rods, one of which held a dead weight, almost felt like a snag. 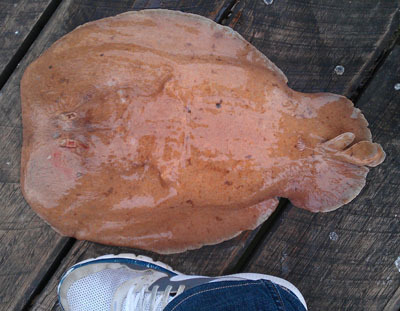 After a slow wind up and a couple of taps of the rod, up came this beast: a Numb Ray!